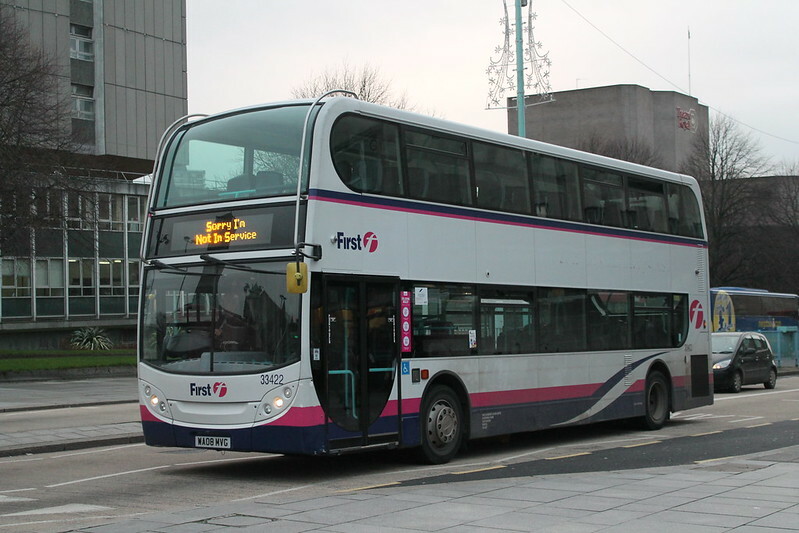 Any thoughts that Plymouth would benefit from the closure of the North Devon business were soon dashed when most of the decent buses were spirited away elsewhere within the group and we just got more K reg Olympians and a few Darts. 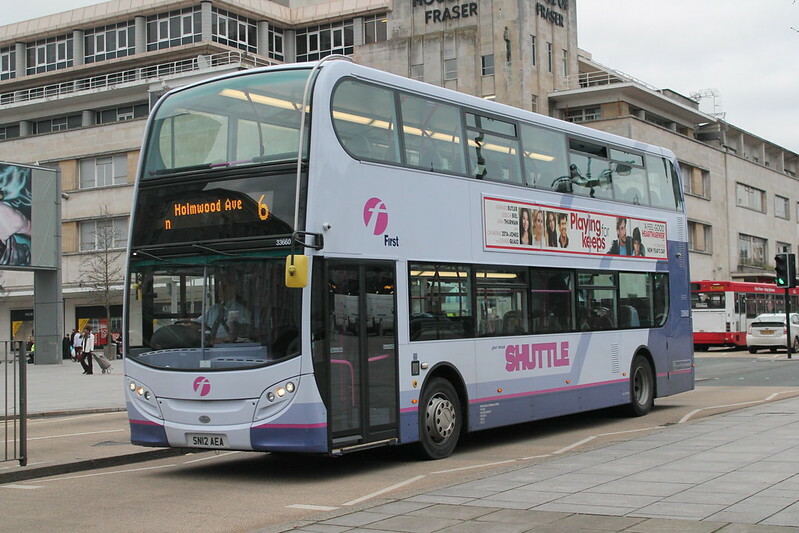 However it does seem that there has been a change as the 08 Registered Enviro 400s are now coming back to Plymouth with two of them at least now back with us. These buses would be ideal for the X80 but 33422 is seen here out of service a few days ago. I have seen one of these on the 15 a week or so ago which really does seem a waste when elderly Leyland Olympians are regularly appearing on the X80. I believe that one or two runs on the 6 are rostered into their duties so it may not be another random event! This is because Devon County Council partly funded their purchase on the basis of use in the county. Such is First's contempt for their Devon and Cornwall operation they thought they could get away with sending them elsewhere. They were wrong. No doubt they'll merely transfer some of the newer Enviros instead. Quite common to see these on the X80 inbound early morning around 9 but I think that's all the route sees of them.